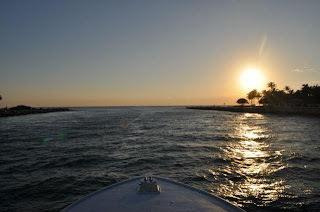 Miami Beach Fishing charter hopes everyone has enjoyed their month of April. Many of us are caught by surprise as this month is already over. Time flies when you’re busy as most of us are these days. Make the most out of April by capping it off with a Miami Marlin Fishing trip. Those who work during the week can start off the month of May with a fun fishing trip. Taking a trip on the THERAPY-IV is exactly what many of us need as an escape from the daily routine. Most of us are on a routine between going home, work and not much else. Miami Marlin Fishing can be exactly what many of us need as a stress relief from life responsibilities. 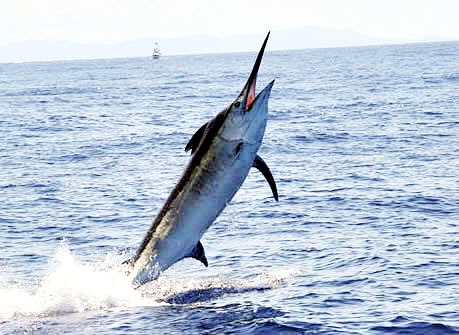 Fishing for marlin is a fun and exciting adventure whether you’re an experienced fisherman or not. Sailing on the THERAPY-IV is an enjoyable experience alone without even fishing. The THERAPY-IV has everything you need in order to successfully capture marlin. Miami Beach Fishing boat was designed to catch marlin and any other kind of fish in the sea. Boat provides up to date equipment for the best success rate along with experienced crewmembers. Not enough can be said about these crewmembers as they have caught marlin and many other fish throughout the years. 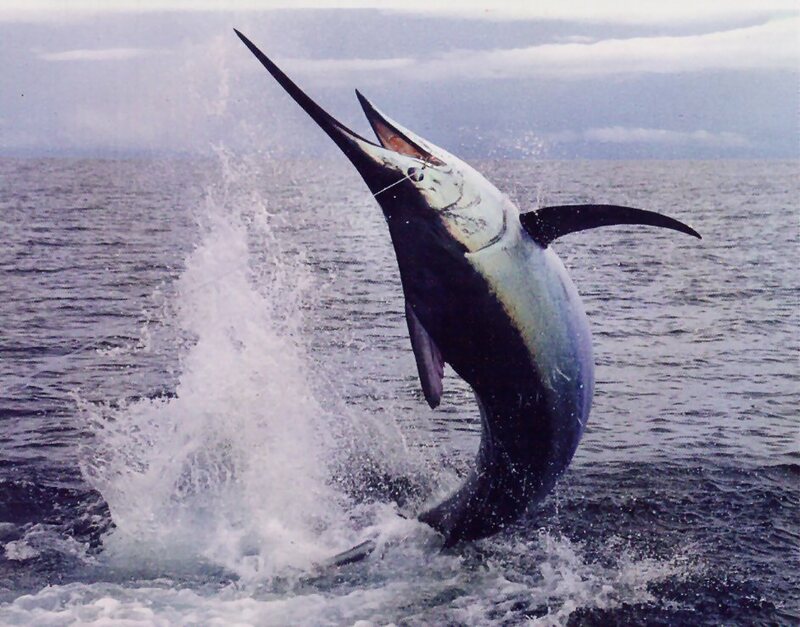 Catching marlin is no easy as they can be difficult to find and reel in once hooked. These large fish are not only known for their look but tenacity as well. Marlins are great fighters that can drag out the process of being captured. Fishing for marlin is a process that involves skill, experience, strength, endurance and patience. Make the most out of this time of year by going Miami Marlin Fishing on the THERAPY-IV. Miami Deep Sea Fishing charter wants to celebrate another NBA Playoff win for our Miami Heat, this round is over. The first round of the NBA Playoffs is over for the Miami Heat as they swept the Milwaukee Bucks. Last night our local team finished the series with another dominant win. This game gives the Heat sometime to rest as Dwayne Wade sat out last night due to injury. Many teams in the NBA Playoffs have lost players or not 100% due to injuries. Rest is so important in the playoffs as players are dropping left and right. Lost Angeles Lakers were recently swept largely due to injuries and not having their players playing. The Lakers had to rely on inexperienced players against the crafty veteran San Antonio Spurs. In order to make it and win the NBA Finals, it’s important to have the best and healthiest team. Having rest between rounds is why this sweep is as important as it is. Last year’s NBA Finals match up already lost their second best player. Injuries shape the playoffs for better or for worse. These injuries give other players an opportunity to step up. Fortunately the Miami Heat were able to win last night without Dwayne Wade as the role players have been playing well all season long. 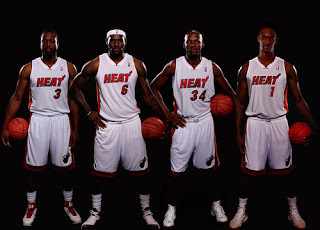 Even though the Heat have 3 All Stars in their starting lineup, they also have one of the deepest teams in the NBA. Miami Heat is a veteran team that can afford to rest without losing a team. Less experienced teams need as much game time as possible while rest only hurts these teams. This first round sweep is a great achieve but is only the beginning as our Miami Heat head towards the finals. Miami Fishing charter wants you to continue showing support for our Miami Heat. Miami Sailfishing is an experience that is fun for family, friends, beginners and experts of fishing. For those who do not already know these fish are called sailfish due to the sail looking fin on their back. The fish are hard to come by as they reside in specific areas of the ocean. One has to know what they are doing in order to find and capture a sailfish. 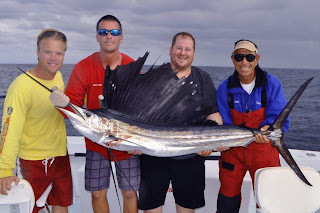 Generally fishing for sailfish is not for beginners but it can be done with some help. These fish are not only large and beautiful animals to come by, but also great fighters as well. Sailfish do not give us easily like most fish in the ocean. When it comes to finding and capturing sailfish it’s all about location. One great location to set sail from is the Haulover Marina deck. This deck is full of many great fishing charters including the THERAPY-IV. The Miami Deep Sea Fishing charter from Haulover Marina is one of the better known in South Florida. There are plenty of reviews all over the web with people saying how much they enjoyed the THERAPY-IV. 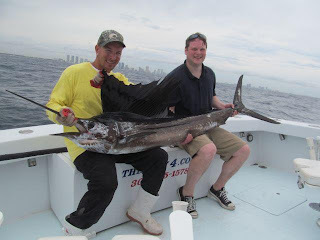 Fishing charter provides many fishing trips including Miami Sailfishing. Haulover Marina charter is a great one to fish from as the boat provides top of the line equipment and experienced crewmembers. The crewmembers have captured sailfish and many other fish throughout their years of fishing. Sailfishing from Haulover Marina will be an unforgettable experience for you, family and friends. Boat itself a 58-foot ship with a 3-story tuna tower to view fish in the sea overhead. The THERAPY-IV provides everything a fisherman would need in order to successfully capture sailfish. Take advantage of anytime off this spring by going Miami Sailfishing from Haulover Marina. We have finally started the NBA Playoffs as the Miami Deep Sea Fishing charter is fired up. Our local professional basketball team the Miami Heat dominated in their first playoff game. The opponent for this playoff series is the Milwaukee Bucks. This team tends to play their best basketball against us like many other teams in the league. Milwaukee Bucks have young talented players who will not make it easy for our Miami Heat. The Bucks were disruptive throughout the game causing the Heat to turnover the ball about 20 points. Despite the turnovers and aggressive play by the Bucks our team pulled through and dominated. Despite the fact the Miami Heat was turning the ball over our team was very efficient on the field. Miami Heat team as a whole shot over 55% percent on the field, which is an unbelievable percentage for an entire team. Lebron James led the charge with 27 points, 10 rebounds and 8 assists. James nearly hit another triple double in his first playoff games in 2013. Lebron was incredibly efficient as he shot 9 for 11 on the field. Our team won by 20 points despite the turnovers and aggressive plays from the Milwaukee Bucks. Last night’s game sets the tone as our Miami Heat use their home court advantage against the Bucks. 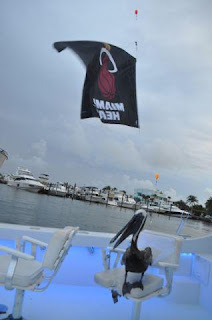 Miami Fishing charter encourages South Florida residents to show their support for our Miami Heat throughout the playoffs into the NBA Finals. Every team is full of professional athletes so it’s important for our team to perform every night. Heat fans were voted as the best fans of the NBA. Let us continue being the best fans for the best team in the NBA. We hope everyone is having another spring weekend in South Florida. This is the place to be this time of year as there are so many things to do. Right now it is warmer than it has ever been all year long. Miami fishing charter hopes everyone is taking advantage of this great weather by going fishing on the THERAPY-IV. Those who have or have not gone fishing before will have an unforgettable experience on the charter boat. Let our customers who have already been on the THERAPY-IV speak for themselves as they post on Facebook, Twitter and reviews on TripAdvisor. This is a great way to spend a weekend in the Miami Beach area. Staying inside all weekend is wasting an opportunities that many residents from other regions wish they had. Many South Florida residents do not spend nearly enough time outdoors. This occurs for a variety of reasons including being busy with obligations. Give yourself a break from the daily routine and responsibilities and cut loose on the THERAPY-IV. Residents and visitors both are encouraged to take full advantage of this great South Florida weather. Visitors come from all over the world throughout the year to experience entertainment and weather down here. Miami sea is full of all kinds of fish with different shapes and sizes. People who are not as experience should know that they will be assisted with experienced crewmembers. These crewmembers have captured almost fish you have heard of and many you haven’t. Miami Fishing trip on the THERAPY-IV is an experience that will define what you have done throughout spring. The season is commonly known for spring cleaning when we clean and organize around the house. Take a break from all the spring cleaning by taking a Miami Fishing trip throughout spring. The THERAPY-IV wants you to continue showing your support for us on TripAdvisor. Best way to show your support for the Miami Fishing charter is by leaving a review for us on TripAdvisor. Simply sign up for free on the review website and leave us a review on the Miami Beach Activities categories. People trust reviews as it comes from personal experience of another customers. Companies can always say how customers enjoy their service or product; it’s better to hear from the customer directly. People trust people over companies saying that their service is great. TripAdvisor is one of the most popular review sites on the web. Most businesses have an account on TripAdvisor. Miami Fishing charter the THERAPY-IV has been number one for TripAdvisor for weeks. This ranking is not just for bragging rights, as the phone doesn’t stop ringing. Generally people trust the number one ranked business and do not look at the rest. We only want the best for what we are paying for. Being ranked number one on TripAdvisor lets everyone know that the THERAPY-IV is the best Miami Fishing charter around according to fellow consumers. We appreciate the Facebook posts, e-mails and Tweets as your support means everything. It should only take a few minutes out of your day to leave a review on TripAdvisor for us. 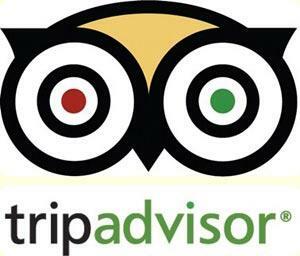 We know that many people who are looking to have a good time check TripAdvisor to find out whether the service is worth their money or not. Those of you who have already left us a review on TripAdvisor thank you very much. Ones who already left a review are a part of why we are ranked #1 on TripAdvisor right now. Regular season is finally over as our Miami Heat had the best record in the NBA. More wins than any other team by a great amount. First time in Heat history as our team led the league in wins. Many records were broken this season including most wins in a season in franchise history. During the season our team had an amazing 27 game win streak. This win streak was a NBA best this year, only second in history. Streak was the longest in Heat history. Miami Deep Sea Fishing crew wants to briefly celebrate all accomplishments made in the regular season as the playoffs are days away. Every year we have been getting better as the Big 3 have been learning to play together more and more. Bench players all have a specific role that they excel in. Not one player plays selfishly or attempts to overdue what they are capable of. Our team has three point shooters, hustle players and great defenders. Lebron James had another season in which he is a top candidate for most valuable player. James was top in the league in scoring, steals, field goal percentage, rebounds and assists. There is not one thing that Lebron does no exceed in on the floor. Critics of Lebron have been running out of material, as he has been clutch all season long. Playoffs are coming soon as this is where legends are made. Our team is the #1 seed for the first time in Heat history. 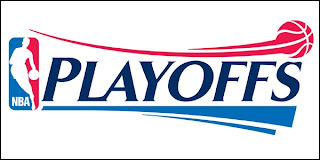 All the regular season success does not mean anything without success in the playoffs. Miami Heat are looking to defend their championship and join a rare class of franchises who have won back to back championships. Let’s continue to show support for our Miami Heat throughout the playoffs as we are here from Haulover Marina. As everyone knows, earlier this week our country experienced a tragic incident in Boston. This event involved innocent people on a day that was to celebrate the city of Boston. One day a year this city hosts the longest running marathon on the same day as baseball and sometimes basketball. Local government and regular workers are given the day off to celebrate the great history of Boston. Miami Deep Sea Fishing charter wants to show their condolences for all the people and their families who have suffered with this tragedy. Many people outside of Boston have family and friends who were in the area. Even though this incident happened days ago, that does not make it less important. A few passed away while many are injured at all levels. Continue showing your support for everyone harmed and involved with the incident there. We should also praise and celebrate the brave people who helped the injured. Brave people who went to aid the injured are the different between some being alive or not. There are many more good people than bad in the world, especially this country. 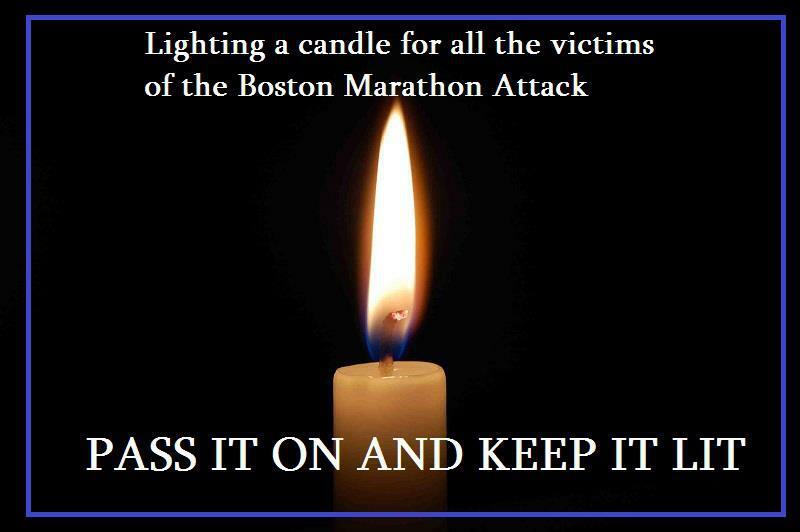 Tragedies such as this give us an opportunity to set up our petty differences and support the people in Boston. This is a great week for sports as many people use that entertainment as an escape from trouble. Professional sports and other entertainment give people a reason to smile when times are rough. We will continue to show our support this week and more to come. Our thoughts and prayers are there for everyone in Boston from Haulover marina. Do not let the acts of such a small amount of evil to damage our spirits. 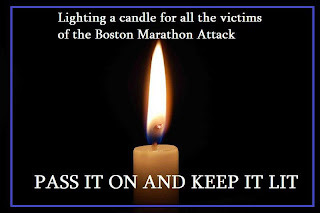 We as a country will stand united through tragedy. Miami Deep Sea Fishing charter wants to recap last night as the Miami Heat looked to get revenge on the Chicago Bulls. Not too long ago the Chicago Bulls ended the Miami Heat’s historic run with a 27 game winning streak. A conference rival who has been playing without their best play all year long snapped winning streak. Last game the Heat and Bulls played was very physical and talked about for days. Post game comments were made about Lebron mentioning the level of physicality of that game. President Pat Riley stood up for Lebron and stood by his player’s side on the topic. Chicago Bulls are not at the Miami Heat’s level so they choose to take it to a physical level. 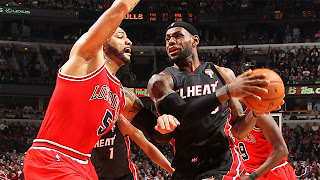 Additional pushes and shoves occur on the end of the Chicago Bulls in order to get to the Miam Heat’s head. This game was personal as Lebron, Dwayne Wade and Chris Bosh played after sitting out previous games. It’s important for the Heat to have an edge as they may meet at the playoffs. This game was no different than the last one as the Chicago Bulls were pushing and shoving all game long. There was a play when Chicago Bulls Carlos Boozer shoulder charged Wade while Nate Robinson (Bulls) pushed James from behind while running. All the pushing and shoving was not enough as the Miami Heat won their 64th game of the season. Lebron and Wade both ended the game with over 20 points. Role player Chris Anderson played a critical role as he scored a season high 15 points. 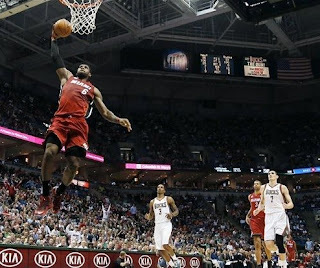 No surprise that Lebron James was the best player on the court again as he had 24 points, 7 rbeounds and 6 assists. We only have two more games until the playoffs, as the THERAPY-IV from Haulover Marina is getting ready for it. Miami Beach Deep Sea Fishing charter the THERAPY-IV provides two top of the line fishing boats. Each boat is nearly identical with features as they proudly represent the fishing charter. Boats are fully equipped with the best fishing equipment around. The fishing boats are equipped with a large tuna tower in order to spot fish in the sea. The THERAPY-IV also has outriggers for spacing the baits and a flying bridge for the captain along with two fighting chairs. Cockpit area in the boat provides two fighting chairs along with two live bait tanks. These tanks are for live bait fishing in order to catch mullet, blue runners, pilchards, herring and pinfish. There is also a large transom door in order to boat large fish such as sailfish, shark, tuna, dolphin or marlin. Below the tower and fighting chairs is the cabin, which is as welcoming as your home. Cabin in the THERAPY-IV has all the amenities one can ask for from a flat screen TV, stereo, XM satellite radio, bar, refrigerator, shower, freezer, stateroom and more. Fishing boat is powered by two 450 hp Cummins diesels along with a 12.5 kw pfsor generator. Those who are interested in taking a trip on this boat is welcome to set sail 7 days a week. Sailing time slots are from 8AM to 12PM and 1PM to 5PM. Two boats are available so that more people can enjoy their Miami Beach Deep Sea Fishing trip. Miami fishing charter is flexible to needs as some private, groups or corporate may want an all day trip. Every fishing trip includes reels, bait, tackle, rods, mat, Florida Fishing License and captain. Book your fishing trip today as Miami Deep Sea Fishing trips are being booked by the minute. There are many fish to find in the deep sea on a fishing afternoon in South Florida. This region of the country remains warm all year with fish from all over. Currents bring in fish that many fishermen have no seen before. Fish come in all shapes and size when found in the deep sea. Participants of the THERAPY-IV will be able to go shark, marlin, sailfish and cobia fishing. Other fish that can be found include barracuda, wahoo bonito, tuna and dolphin fish. Some of the trademark fish such as marlin can be found only a few minutes off the dock. Miami Deep Sea Fishing charter provides two identical 58-foot boats with top of the line equipments. Boats have indoor and outdoor seating’s for fishermen throughout the day. Indoors are well furnished with air conditioning, wide screen television and surround sound stereo. Experienced crewmembers are provided as they have captured most fish in the sea. Two boats are provided so that more people can enjoy going Miami Fishing simultaneously. Each fish has a size range and level of aggressiveness that the family shares. Different fish require techniques whether it’s baiting, netting or simply going after it. Most fish are great fight, as they do not want to leave the water. Deep sea attracts fish from all regions surrounding the area. Fish enjoy a large warm body of water that is in South Florida. One can go Miami Sailfishing some day and go Miami Marlin Fishing another day. Large area such as the deep area provides a variety of fish to choose from. Both predator and prey can be found in such a large body of water. Miami Fishing is fun for family and friends whether you’re an experienced fisherman or not. 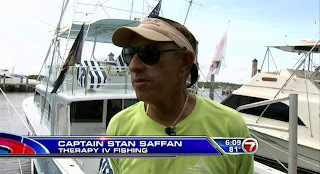 Miami Deep Sea Fishing charter Captain was recently featured on the Channel 7 news due to budgets being cut for the Take a Hero Fishing Tournament. This tournament is opportunity for us citizens to give back to the military that have served and protected us. These military men and women have put their lives on the line for our well being. United State is a free and peaceful country due to our military serving to protect us. Fleet week will not be what we are accustomed to as the event will be limited to local military only. This year there will not be any war ships or submarines present for the celebration. Those cutting the budget do not fully understand the significance of this event. Budget would have shut down the entire event if it weren’t for charters like the THERAPY-IV. Fleet is continuing due to the commitment from the guys at THERAPY-IV. Captain Stan wants to give these fine military personal from all over to have an opportunity to go Miami Deep Sea Fishing. Entire THERAPY-IV crew heavily supports the troops as each boat has a “Support Our Troops” placed on them. Budget cuts are not only affecting Fleet Week but also the Fort Lauderdale Air Show as well. The Fort Lauderdale Air Show will not be featuring its headline act due to cuts. Unfortunately the Air Show will have to go without participation from the military. The Channel 7 News interviewed the THERAPY-IV Captain, as he was vocalizing his support for the military and Fleet Week. That week is a very huge week for the THERAPY-IV and supporters of the military. 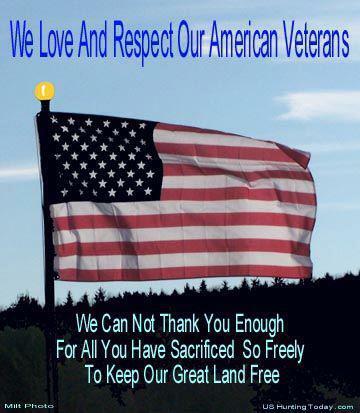 Be sure to continue showing your support for the military as we do everyday from Haulover Marina. April is the best time of year to go Miami Marlin Fishing from Haulover Marina. Weather during this time of year is neither too cold nor hot. Some fish are difficult to find during cold weather as they enjoy warm waters. The weather being too outside is simply not enjoyable for fishermen who spend their day fishing. Fishermen do not want to spend their leisure time uncomfortable whether it’s too cold or warm. Nice warm weather is welcoming for both fishermen and marlin. Marlins are easier to find this year in the Miami deep sea. Miami Marlin Fishing is a fun and challenging experience. as well, but need help doing it. THERAPY-IV offers help by providing a top of the line boat with equipment and experienced. Miami Fishing charter the THERAPY-IV provides two identical boats so that more clients can go marlin fishing. Crewmembers of the Miami Fishing charters have years of experience with capturing Marlin and many other fish. Marlins are some of the most beautiful fish while dangerous at the same time. These fish are the trademark animals capture in the sea. There is a reason why our local professional baseball team is called the Marlins. They are not only large and difficult to find, but are also great fighters. Members of the Miami Fishing charter will know where to go in order to find Miami marlins. The month of April is a great time of the year finds marlins as the warm weather draws them out. Spring weather is well balanced as winter only recently passed. Add Miami Marlin Fishing to your to do list in April. Miami Deep Sea Fishing charter wants everyone to continue showing their support for our Miami Heat as they are nearing the playoffs. Regular season has been fun and exciting for all of us as fans but is what it’s really all about. Great players and teams are defined by how well they perform in the playoffs. Some of the great regular season accomplishments have been diminished over the years due to the lack of success in the playoffs. Players are not considered to be elite players until they win a championship despite regular season success. Having success in the playoffs is about silencing the critics regardless of what time you’re cheering for. NBA Playoffs are interesting, as one team has to dominate another over a seven games series. This system ensures that the better team wins without a less team getting by with luck. This season our Miami Heat has the most wins in the NBA. Miami Heat are already resting players so that everyone can be fresh and ready to go come playoff time. Lebron James and company finally took the monkey off their back after winning the championship last year. This year our Miami Heat players and fans will not carry as much stress or pressure as years before. Fans of the Miami Heat will be able to sit back and enjoy the playoffs for what it’s all about, competition. Most fans are tuned off from late regular season games knowing that players are holding back for the playoffs. One good thing about players resting late in the season is that bench are showing what they’re worth. Miami Heat bench has been looking great recently with the extra minutes they are given. Fishing charter from Haulover Marina wants you to be sure to tune in and continue showing your support for our Miami Heat. Our local professional basketball team Miami Heat has won another game this season. This win is special as it is only the second time in Heat history that they have reached 60 wins. Great teams generally win about 50 games a year but only a few have reached 60. Miami Beach Deep Sea Fishing charter wants to continue showing their support for the Miami Heat even after the amazing winning streak. This is the part of the season where player are resting to get ready for the playoffs. There are other teams that are still fighting to get a playoff spot. Superstars resting have given role players a great opportunity to show what they can do. 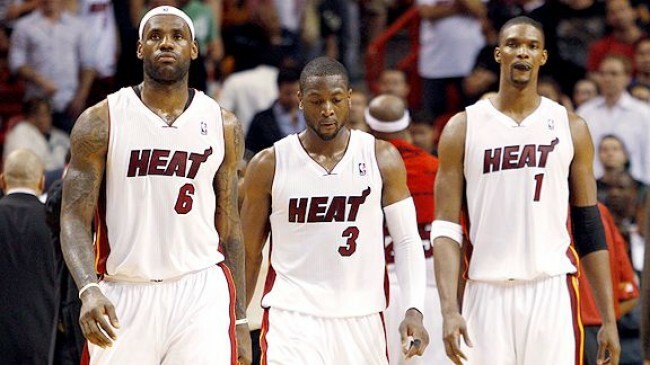 Lebron James, Dwayne Wade and Mario Chalmers have been sitting out the 3 previous games. Last night Chris Bosh sat out so Lebron James came in with 8-minute runs. James hamstring has been bothering him so he took it easy last night and didn’t play too many minutes. Team players such as Rashard Lewis and Mike Miller have stepped in well in the absence of Heat starts. Miami Heat are still winning games with the intent of resting the stars get ready for the playoffs. Winning 60 games is an accomplishment that should be celebrated and will help create a momentum into the playoffs. Having the most wins leads to home court advantage, which is important for the Heat. Our Miami Heat has by far the best home record in the NBA. History can be made, as the best Miami Heat record was 61 wins. This could also be the first year that the Miami Heat has ever had the best record in the NBA. There six games left of the season so there are opportunities to break the franchise record. Miami Sailfishing charter encourages you to continue supporting our Miami Heat for the regular and post season. Take advantage of this wonderful spring weather by taking a Miami Sailfishing trip at Haulover Marina. This is the best time of year to go Sailfishing as the weather is warm and sailfish are out there. Different weather draws out fish to specific areas, as now is the season for sailfish. Those who have never gone fishing for sailfish before are in for a treat. Sailfish are some of the most beautiful fish in the sea. No one wants to prize an ugly for their camera shot. Charters and tournaments have sailfish logo or display due to their beauty. For this reason sailfish are usually the trademark fish to display for fishing. These fish are generally great fighters with plenty of strength for their size. Miami Sailfishing is a wonderful experience that cannot be replicated. Enjoy fishing for Sailfish at the Haulover Marina where the THERAPY-IV charter is located. 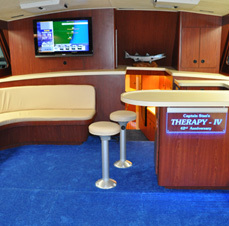 The THERAPY-IV is one of the premiere fishing charters in South Florida. Miami Deep Sea Fishing charter is currently ranked #1 for Miami Beach Activities on the Trip Advisor review website. 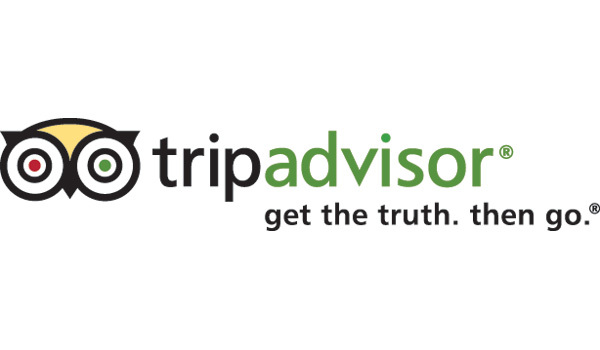 Those who are not familiar with Trip Advisor should know that this is one of the most credible review websites out there. Miami fishing charter has two identical boats to for fishermen to choose from. This fishing charter provides experienced crewmembers so that you can successful capture sailfish. 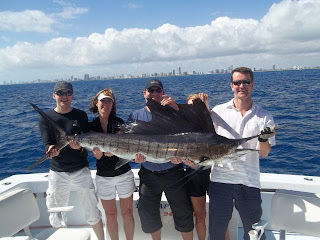 Crewmembers have experience with capturing sailfish and many other fish in the sea. These fish are difficult to capture, especially for the first time without some help. Capturing sailfish is unlike catching any other fish as they are within the most difficult to capture. Haulover Marina provides a top of the line 58-foot boat with up to date equipment and experienced crewmembers for Miami Sailfishing. Four weeks from this Friday the Take a Hero Fishing Tournament will begin. This tournament is to celebrate and honor the heroes who protect our country everyday. Real life heroes in this country are our U.S. military. These fine men and women commit their lives to serve and protect us. One thing that people want more than anything is a peace of mind, this is what our military gives us. 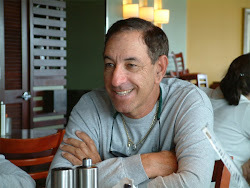 Miami Deep Sea Fishing charter the THERAPY-IV along with many other Miami Fishing charters look to honor these heroes. Tournament allows our heroes to do what they want most, relax and have a good time. After everything our heroes have gone through all they want to do is relax and enjoy them. Take a Hero Fishing Tournament gives us another opportunity to honor and show appreciation for our heroes. Fishing tournament will be a fun, competitive and laid event all at the same time. The THERAPY-IV will be looking to get first place with one of their two boats. Miami Fishing charter will strive to win the tournament while accompanying a fellow hero of our country. This tournament will be a nice event with family and friends. Everyone is welcome to join us as we are looking to celebrate our country’s heroes. In the meantime, enjoy taking Miami Deep Sea Fishing trips while waiting for this tournament. One can gain valuable experience Miami Fishing on the THERAPY-IV while we are weeks away from the tournament. Learn from experienced crewmembers from the THERAPY-IV fishing charter, as they will hone your fishing skills. Be sure to mark the date on your calendar, as we are only weeks away from the Take a Hero Fishing Tournament. The THERAPY-IV is proud to announce that the University of Miami flag is being donated to Haulover Marina. This donation was done so that everyone in Haulover Marina can view the flag. Residents of South Florida are proud of our University of Miami program and everything it represents. Fans come from all over come to support the University whether it’s for football, basketball or baseball. Both residents and visitors of South Florida are fans of this college program. University of Miami is a proud program that is known around the country for their confidence. The university does not only have a great sports program, but a wonderful education system as well. People from all over the country are looking to be enrolled into the University of Miami. Academic program is intense for students, as many of them become success in the business world post graduation. Most people in the country are familiar with the UM (University of Miami) flag and what school it represents. 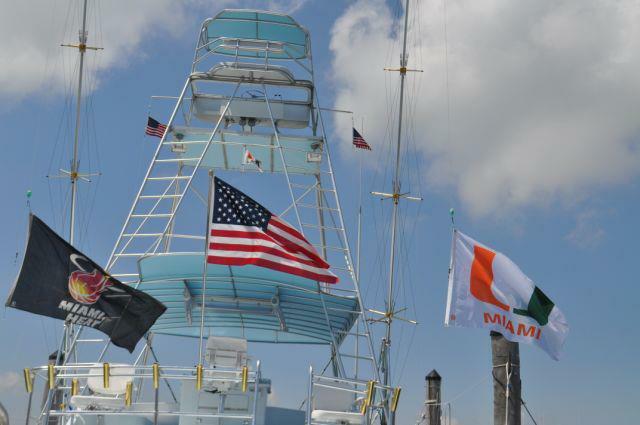 Miami Fishing charter has been proudly waving the UM flag on the THERAPY-IV. Fishing charter is proud of their entire local teams both college and professional. Miami Marlin Fishing charter has decided to donate their University of Miami flag to Haulover Marina in honor of the university. This donation was done both for the university and park area that is Haulover Marina. We encourage fans to find their own way to honor our local college program. This university is one of first things that people think about when South Florida is mention. The first thought is always Miami Beach with that perfect South Florida weather. Be sure to take advantage of the South Florida spring weather by going Miami Marlin Fishing on the THERAPY-IV. Miami Beach Deep Sea Fishing charter the THERAPY-IV is still ranked #1 on Trip Advisor. It’s been consecutive weeks that this fishing charter has been on top for Miami Beach Activities. This is an amazing accomplishment considering how popular Trip Advisor is. Many fishing charters and other outdoor activities are rated on this site. 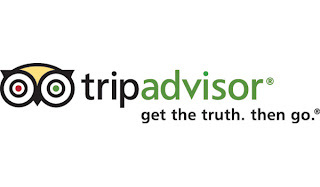 A lot of people consider Trip Advisor as the only credible source for reviews. Trip Advisor ranks activities between ratings and reviews written by people who experienced the activity. Miami Beach Deep Sea Fishing charter being ranked highly on this review site tells customers how much others enjoyed their experience. Being ranked number one tells customers that the THERAPY-IV is the best fishing charter in South Florida. Fishing charter continues to encourage participants to place their reviews on Trip Advisor. Longer this fishing charter is ranked number one on Trip Advisor, more people will be coming in. Placing a review on the site is the best way to encourage others to take part in this fishing trip. Taking a trip on the THERAPY-IV is unlike any other fishing adventure you have experienced. Those who have not taken a Miami Deep Sea Fishing trip are encouraged to do so. The THERAPY-IV is proud of this accomplishment and wants to share it with everyone who supports this fishing charter. We want to tell you how much we appreciate the support whether it’s on Trip Advisor, Facebook, Twitter and any other source of information. Those who have already been on the THERAPY-IV are encouraged to take another trip with this great spring break. Let this week be another strong one for you and everyone from the Miami Deep Sea Fishing charter.